Bootstrap is a completely free frontend web development framework that can be used by anyone with a little knowledge of HTML and CSS languages to create beautiful and functional websites. Using the Bootstrap theme generator allows the developer to start building for the web using a solid platform that provides cross browser support for all modern browsers including Chrome, Firefox, Internet Explorer, Safari and Opera as well as being inherently responsive – which means that it will automatically adjust its layout for desktop, mobile and tablet devices. Bootstrap also comes with a pre-built theme that is ready for use but can also be expanded upon as required. The theme consists of a full suite of design elements compiled into CSS format. A showcase of the free bootstrap themes can be found here and can also be edited and recompiled here. Using the Bootstrap theme is simply a case of including the default CSS file for the theme which can be downloaded as part of the Bootstrap package and uploaded straight to any web project or can be included via the free Bootstrap CDN. 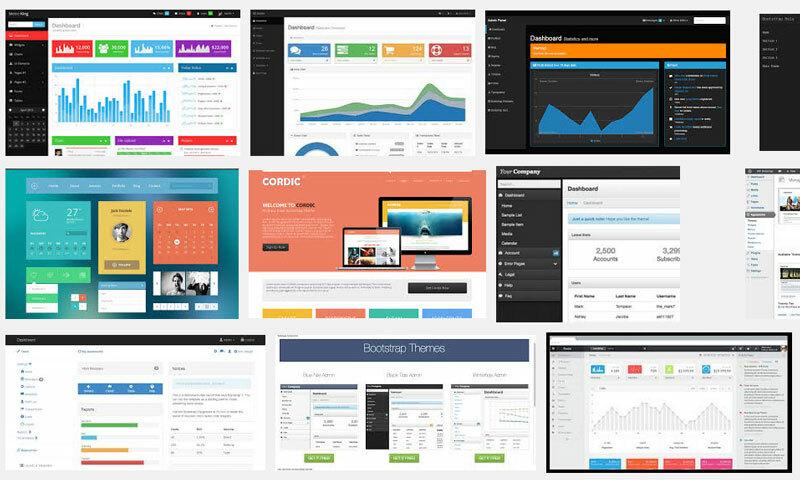 The Bootstrap framework and default theme can also be modified in order to create new themes and layouts. Customizing the theme can be done via the Bootstrap website or any free bootstrap template builder where it can be modified and recompiled ready for download. Alternatively the theme can also be customized by overwriting the original properties. There is a great guide to customizing the Bootstrap theme, including bootstrap carousel that can be found here. If you don’t have the patience for creating your ideal theme within Bootstrap, don’t worry, there are hundreds of free themes available to download from sites like mobirise.com. Whether you are building your own personal hobbyist blog, a showcase website for your company or a commercial service offering the Bootstrap framework is an invaluable tool that provides a stable and reliable platform on which to create and build for the web.